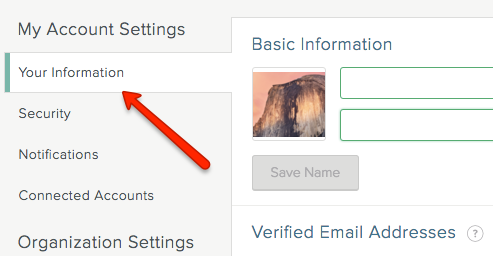 You can set or update your email notifications in your personal Account settings. On the screen that appears, click Notifications, and then select the notifications you want to receive. Note: Every time you check or uncheck a box, a Success! notification appears at the top of the screen. Your notification preferences are saved automatically. Click outside the Your Settings screen to exit. Note: Now you can create a note for yourself by referencing yourself in the stream (e.g., @yourIDhere), which will simultaneously send you an email notification. 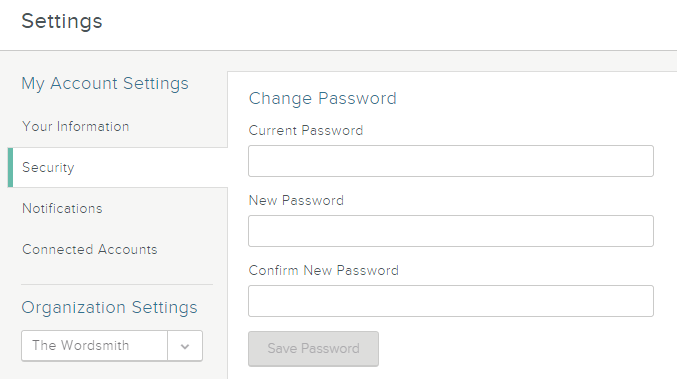 In the Password field, click forgot? When prompted, enter your email address to receive instructions on how to reset your password. Check your inbox for an email from SalesforceIQ. Click the link in the email to reset your password. You will be asked to enter your email address, a 2-Step Verification code, and your new password. On the screen that appears, click Security. Enter your existing password and your new password, and then enter the new password again to confirm. You can have multiple email addresses associated with your SalesforceIQ Account. The one you set as the primary email address is the one SalesforceIQ uses to communicate with you. Note: The email address you want to use must be connected to your SalesforceIQ Account. You can connect multiple email addresses to your Account. Learn more here. On the screen that appears, click Your Information. Hover your cursor to the right of the email address that you want to set as your primary address, and then click Make this your primary email address. Your change is saved automatically. Click outside the screen to exit. The information in this article applies if your company name or domain changes, and your company email address changes as a result. For example, after a company name change, your email address might change from me@company1.com to me@company2.com. Add your new email address as a connected Account. To do so, go to Settings > Connected Accounts. Click Connect to add another email Account. Detailed steps are available here. Make your new email address your primary address. To do so, go to Settings > Your Information . Hover the cursor to the right of your new email address and click Make this your primary email address. Detailed steps are available here. After you and your team have completely migrated to using the new email address, you can disable your original address. To do so, go to Settings > Connected Accounts. 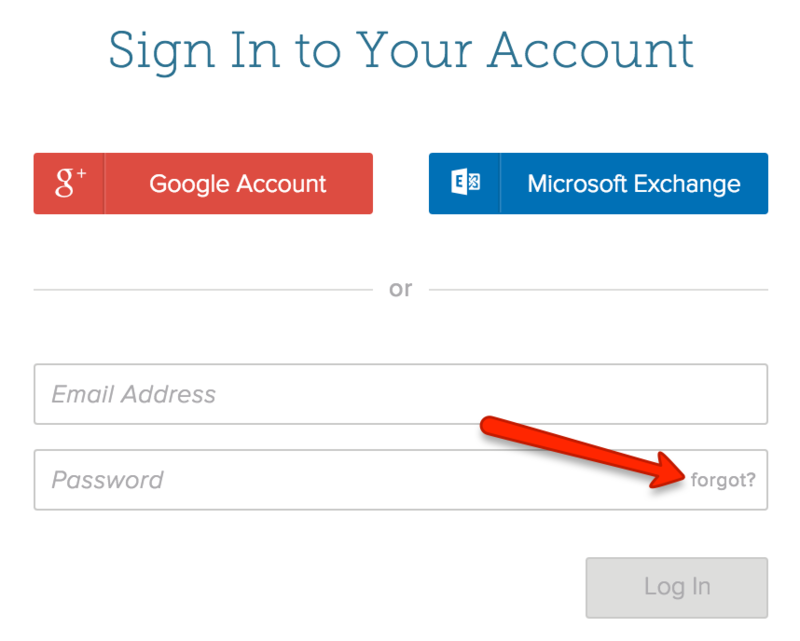 Hover over the Account for your old email address and click Disable. Detailed steps are available here. Note: Be sure to click Disable, not Delete. We recommend that you do not delete your old email address from SalesforceIQ, since this can cause you to lose some data in the Stream. You can use Google's 2-Step Verification to make your SalesforceIQ Account on our web and smartphone applications even more secure. To learn more about Google's 2-Step Verification, how it works, and why you may want to enable it, please see their support materials. Download the Google Authenticator app for your smartphone. Log in to your SalesforceIQ account on your computer. On the screen that appears, click Security, and then click Begin Setup under Enable Two Factor. A barcode appears, along with areas to enter your SalesforceIQ password and Google authenticator code. Note: Go to the Security settings if you want to disable 2-Step Verification after you enable it. Open the Google Authenticator app on your smartphone. Android phone—Tap the menu button at the bottom of the screen. iPhone—Tap the pencil icon in the upper-right corner. Scan the barcode on your SalesforceIQ screen. The Google Authenticator app generates a new code for SalesforceIQ. In SalesforceIQ, enter this code under Google Authenticator Code, and then enter your SalesforceIQ password. If you use one of our smartphone apps, a prompt appears asking you to log back into them. Note: You will need to use the most recent versions of our smartphone apps. If you have trouble logging in after enabling 2-Step Verification, please check the app store for updates.